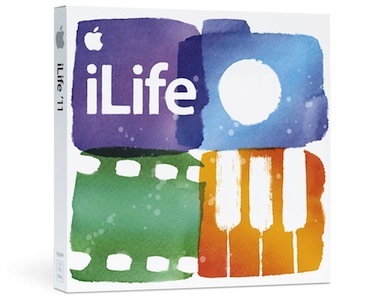 Before Lion was released, whenever you bought a Mac it would come with Reinstall Disks for Mac OS X and iLife. But now Apple is moving away from disk based software and into software from the App Store. So all current Mac’s do NOT come with reinstall disks. The only way to reinstall the software is to download it from the App Store. When you set up your Mac you have to put in an Apple ID. So after your Apple ID is connected with your Mac, iLife will show up on the Purchased Tab in the Mac App Store. And if you have other Mac’s with the same Apple ID just download it at no extra cost. This isn’t illegal, because it abides by Apple’s own rules; which say that after you have bought a piece of software you may download it on any Mac with the same authorized Apple ID. So if you haven’t upgraded to iLife ’11 on previous Mac’s and are thinking of buying a new Mac, you might want to consider this option. But when you have an Apple Mac, won’t it be great to have it all in sync and also have an Apple Display. Yeah that would be great. But there are couple of problems. First: The Thunderbolt Display is a stunning at 27″. But for some people that’s HUGE. Way to big. They either don’t need that much space or they don’t have room on their Desk. Second: The Thunderbolt Display costs 1 Grand! you could buy a MacBook Air for that. The really high price point could drive people away from buying the Display. Hey Apple, people might be willing to pay a Grand for a Mac, but not for a Display. Third: Apple makes a 21.5″ and 27″ iMac. 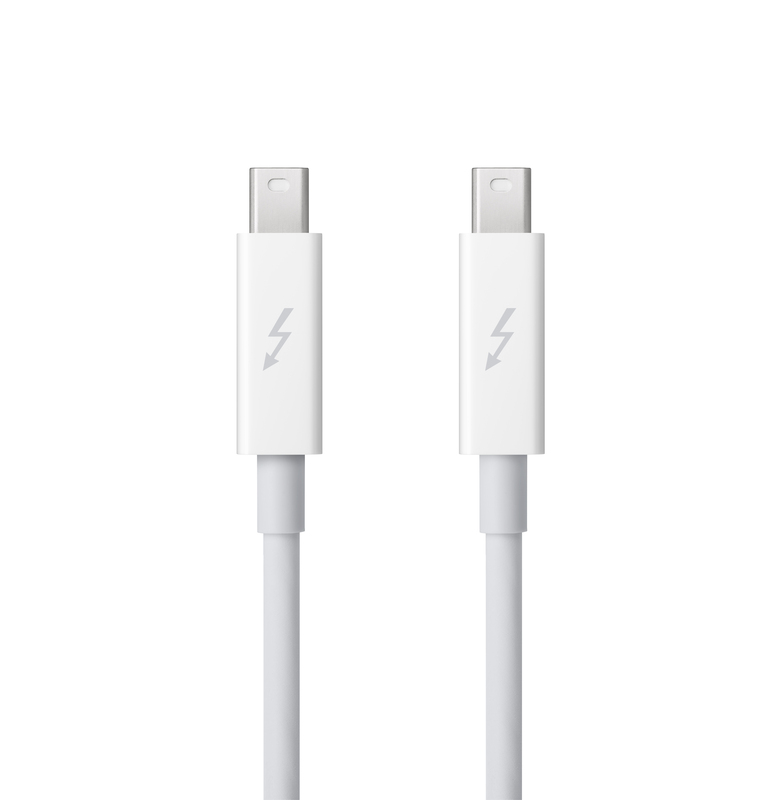 The Thunderbolt Display is also 27″ so it’s a perfect match for the 27″ iMac. What about the 21.5″ iMac. If people want to buy a Display they have to get the 27″ display that would dwarf the smaller iMac. These were some reasons that would stop people from buying this display. But I do believe there is a solution. Apple should make a smaller 21.5″ Display at around $699. It would be perfect! Great Price, Great Size, and a Great Companion for the 21.5″ iMac. If Apple made this imaginary Display I bet it would sell a lot better than the 27″. Tell me what you guys think in the comments. Today Apple released financial information about their fiscal third quarter with a record for iPhone and iPad sales. Apple announced sales of $28.57 Billion and a Net Profit of $7.31 Billion. This was a around 3-4Billion more than what analysts had predicted. The Quarterly Earnings Call results were announced by Tim Cook and Peter Oppenheimer. Apple Sold 20.34 Million iPhones that’s record high, even without Apple releasing a new phone in a year. Analysts think that it’s the Verizon (CDMA) iPhone and the White iPhone that are really driving sales. 9.25 Million iPads were sold, that’s a record for the iPad as well. Unfortunately Apple sold only 3.95 Million Mac’s this quarter. So Mac sales were down. But there was a 59% growth in Mac ales in the Asia-Pacific Are. iPod sales were also down with only 7.54 Million iPods sold. Apple additionally announced that Mac OS X 10.8 Lion will release tomorrow, July 19, in the Mac App Store. No information was given on time of release. Overall this was a great Fiscal Quarter for Apple. Hopefully in the next Fiscal Quarter Mac and iPod sales will be higher. Last Monday, the 11th, was my Birthday. And I went to the Apple Company Store. 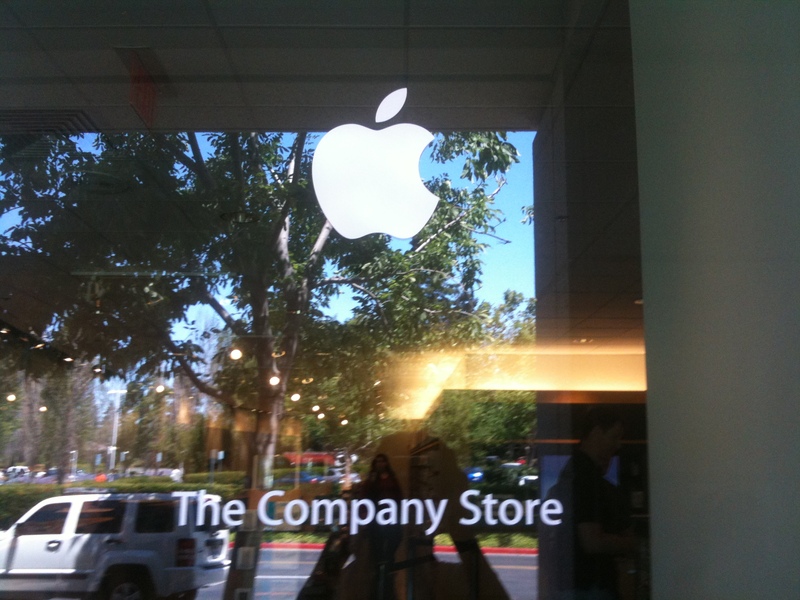 It’s the only place in the world where you can legally buy products with the Apple Logo on them. They also sell accessories Apple products, iPods, Apple TV’s, and the Mac Mini. But they don’t have a Genius Bar, Support, or a way to buy other Mac’s. So it’s very different from your average Apple Store. Half the store is Apple Logo Stuff. 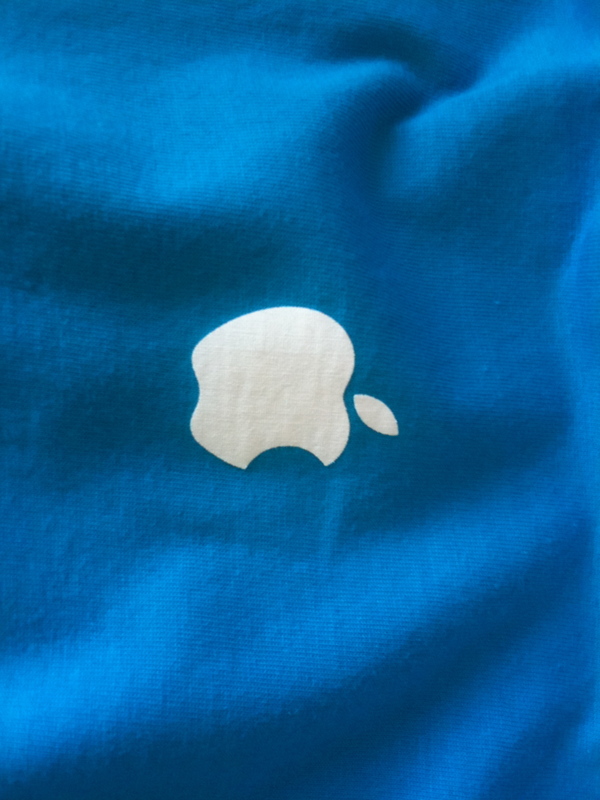 There are a lot of shirts some with just the Apple Logo and some also with words. For example there was two shirts with words both which I liked. 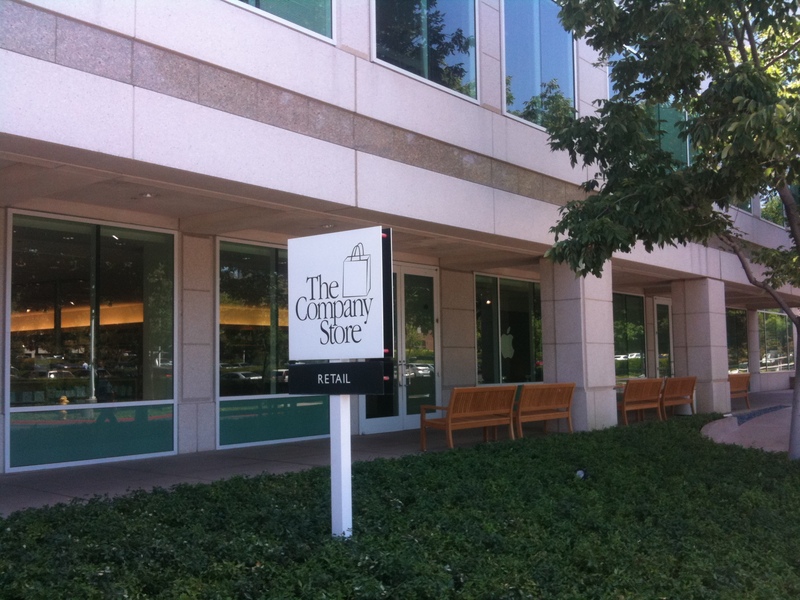 One said,”I visited the Apple Campus. But that’s all I’m allowed to say.” and another said, “I came. I saw. 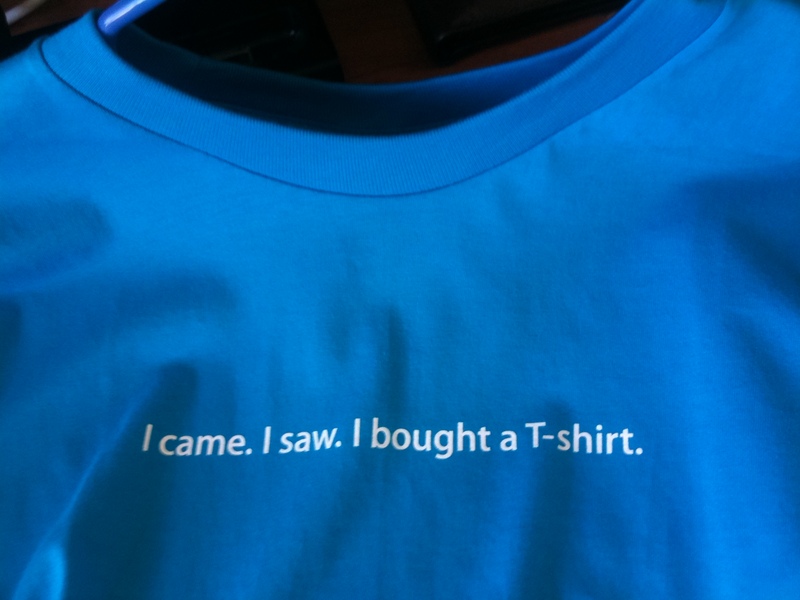 I bought a T-Shirt.” At the end I bought the second one because it was on a bright blue T-Shirt. There were collared shirts, sweatshirts, beanies, hats, and even stuff for babies. There were water bottles, lunch-bags, mugs, pens, key-chains, pens, pencils, and notebooks. I have to say the Prices were inflated. One shirt was $17, pens ranged form $3 to $30. Water-Bottle was $10 and a sweatshirt was $50. Well I guess that’s what you have to pay to wear Apple Swag. Along with the Shirt I bought a twisty pen, that writes amazingly smooth. Only thing is the ink is in a metal cylinder, I wonder where I could get refills? Overall it was an Amazing Birthday Experience and can’t wait to visit again. If you guys ever get the chance to visit the Bay Area the Apple Company Store must be on your places to see list. Apple sells three solutions to have a wireless network at home; the Airport Express, Airport Extreme, and Time Capsule. Time Capsule is an Airport Extreme with storage that will back-up your Mac using Time Machine. Apple used to sell a 1TB and 2TB Time Capsules. 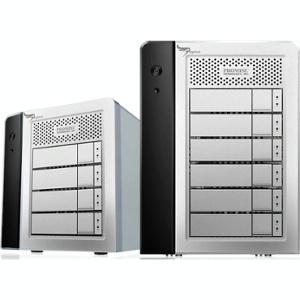 Now they have 2TB at $299 and 3TB at $499. There were rumors that Airport Extreme and Time Capsule were getting a major update, but after this it doesn’t seem so. At the price of $299 and $299 the Time Capsule is pretty expensive. What would be cheaper to do is to buy an Airport Extreme and an External Hard Drive of your choice. the plug the Hard Drive into the Airport Extreme and it will work exactly like the Time Capsule. And the Hard Drive is accessible to all computers using that Wi-Fi network. You get all of this for a WAY cheaper price, but you lose the instant plug-and-play of the Time Capsule.